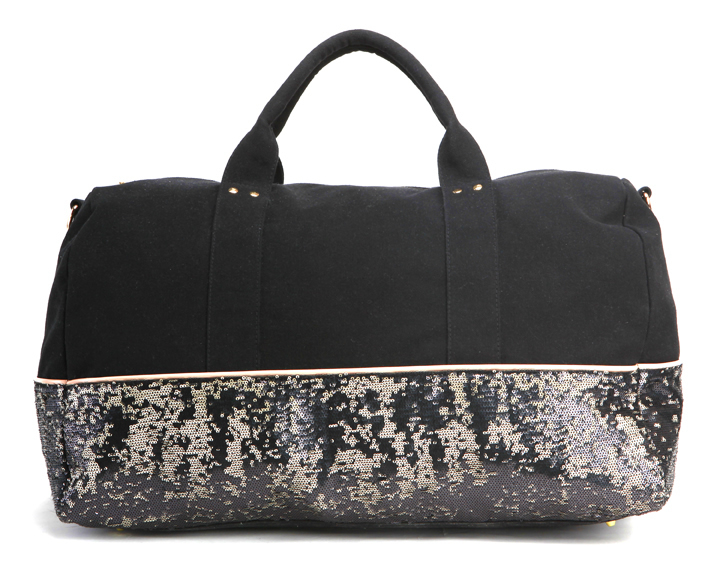 Travel in style with this sequined weekend duffle made from deux lux's custom canvas material. A removable messenger strap adds convenience on-the-go! Full zip closure included.26" x 14" x 12"